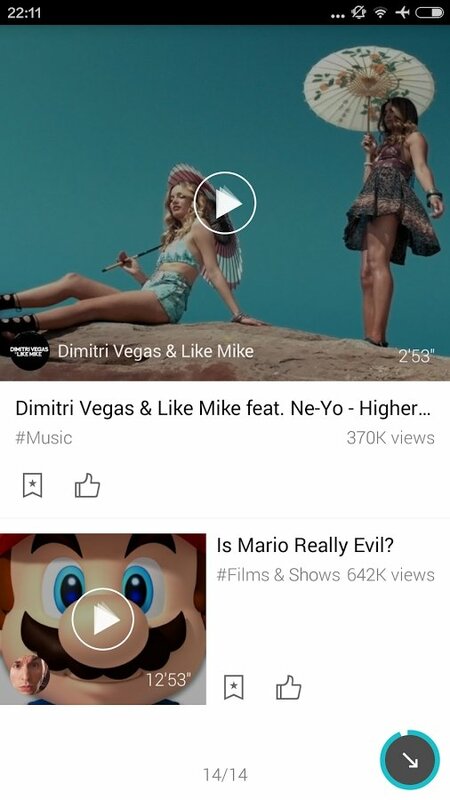 Make the most of online video platforms like YouTube or Vimeo thanks to Daily Cast, an application that offers you on a daily basis a selection of videos that comply with your interests and tastes. 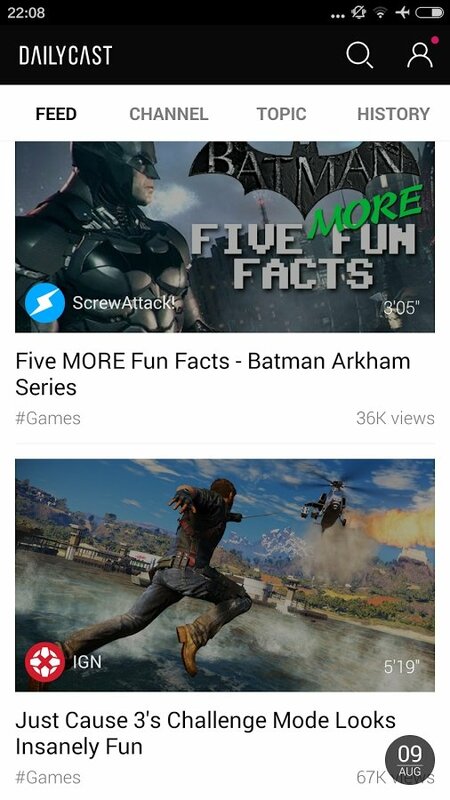 The best videos curated for you. 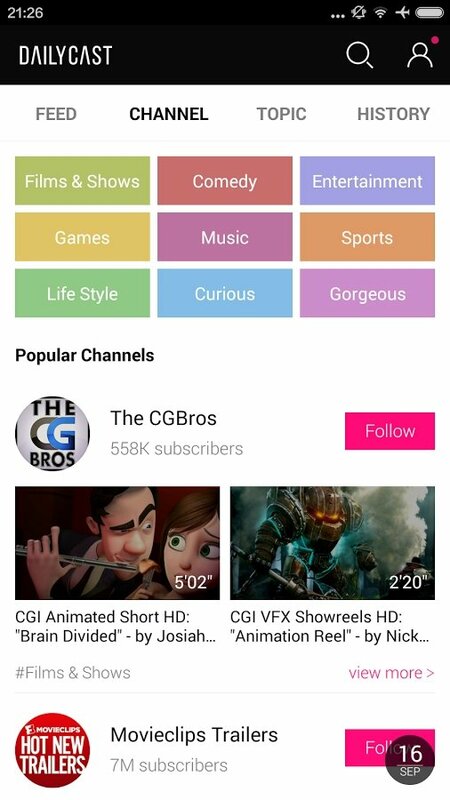 15 daily videos including your subscriptions, selections made by the Daily Cast team and the most popular videos. 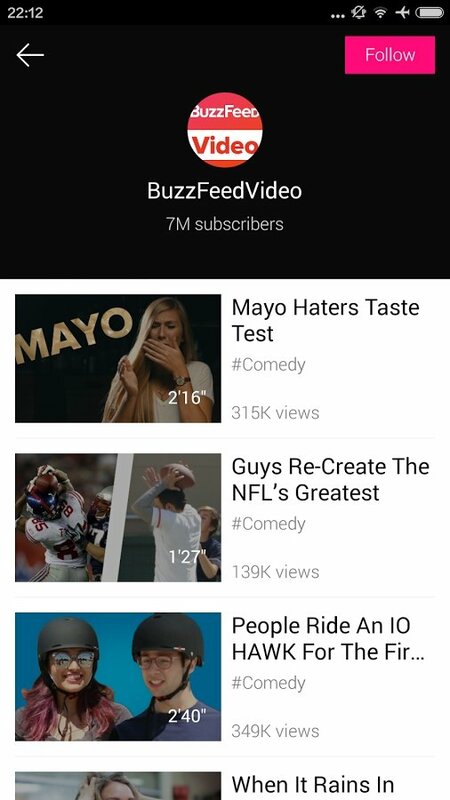 Customized feed with the videos that you're subscribed to. Auto-cache of videos when detecting an active Wi-Fi. Video history sorted by date. Quick search for videos on YouTube. Share quickly on social networks, by email and message.